Here is an update of the megaphone/inverted head and shoulders note from a few weeks back (see, Here). Considering it was during that summer that Bernanke first embarked upon the monetary regime, outlined in his 2002 speech on deflation - it fits quite neatly with the European drama now unfolding. 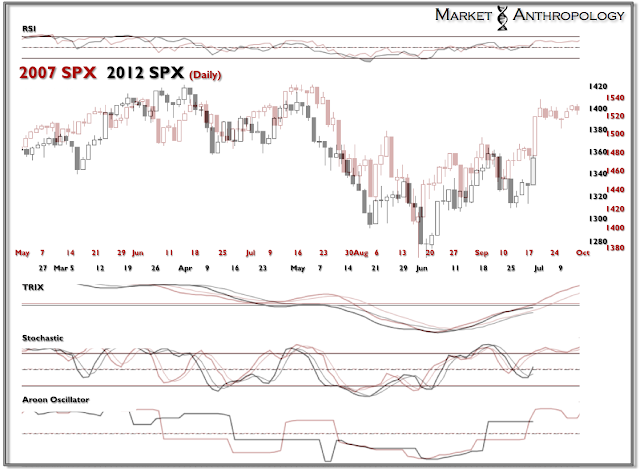 Should the script continue - new highs are in sight for the SPX over the coming weeks.